World Technology: U.S. military superiority will always make sure the Zionists? U.S. military superiority will always make sure the Zionists? WASHINGTON (Arrahmah.com) - U.S. Defense Secretary, Leon Panetta, to ensure that the priority of U.S. funding for Israel's military strength, will increase from $ 2.5 billion to $ 3 billion in 2012 - more than double the amount of U.S. grant for Egypt. The United States will ensure that Israel can maintain "military superiority" over his enemies. This is done when Israel helm against potential Iranian nuclear threat, Panetta said on Tuesday (06/03/2012). 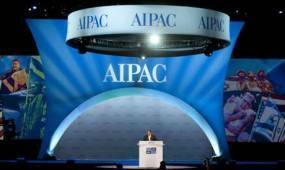 "This is a determination that the United States will provide whatever support is necessary for Israel to maintain military superiority over any state or the parties hostile to Israel," Panetta said in the presence of pro-Israel lobby, AIPAC, in Washington. He said President Barack Obama's record on security assistance to Israel has increased in number since Obama entered the White House in 2009. "This year, the president's budget request for security assistance to Israel by 3.1 billion, compared with $ 2.5 billion in 2009," Panetta said. Panetta cited plans by providing advanced missiles, missile defense, as well as F-35 fighter jets to Israel's latest, in order to maintain the superiority of the air force's violent country. It remains unclear whether the Pentagon has provided Israel's most powerful conventional bomb of the U.S. arsenal, which reportedly can attack the facility located 200 feet underground.